An unexpected pregnancy usually has more questions than answers. Some of the toughest questions deal with pregnancy termination options and abortion info. Faced with a sudden crisis, many women immediately consider abortion as a primary option – sometimes, the only option. You may be faced with an unplanned pregnancy. Some friends or family members might’ve suggested abortion as the best course of action. And you may have already looked at info on where to get an abortion. But before making a final decision, it’s best to get all the information. Our clinic includes counselors who’ve helped hundreds of women in your exact situation, including some recovering from the emotional and physical effects of having an abortion. If you think you’re up to speed on abortion info, it never hurts to get a second opinion – or a first opinion! Turning Point’s compassionate, caring, non-judgmental setting is the ideal place to discuss your situation, including pregnancy termination options. Get Abortion Info, Helpful Counseling, Free Medical Attention and More – All at Turning Point! The Turning Point Pregnancy Resource Center is here to support any woman who needs help, regardless of her situation or what her past experiences entail – including abortion. If you’re struggling with an unplanned pregnancy and need someone to talk to, we’re here to help. When faced with possible pregnancy termination options, please call us before making your final decision. With many options available, you’d be surprised at how just one phone call has made meaningful, life-long change for women all over San Diego County. Emotional trauma. An abortion is an intensely personal decision, and many women struggle with the aftermath – for weeks, months, even years. Physical pain. As we’ve discussed before in the Turning Point blog, an abortion’s impact isn’t purely psychological or emotional; there are many negative physical outcomes, as well. Some of these physical concerns can affect future pregnancies, should a woman choose to become a mother later in life. Family matters. A woman and her unborn child aren’t the only ones affected by abortion; the highly controversial nature of the act usually adds extra strain on family relationships, from mothers and fathers to grandparents to siblings and more. Spiritual toll. One of the often-overlooked aspects of abortion is how it can create a spiritual deficit. Regardless of your faith – or even if you’re not particularly spiritual – abortion leaves a lasting legacy that can alter your spiritual and religious life. Studies have shown that post-abortion grief is real: In fact, when talking about pregnancy termination options, you should consider some of the physical, emotional and psychological risks. Up to half of all women in the immediate post-abortion period experience insomnia, depression and other negative psychological and physiological symptoms. Before you act, get all the facts. Contact Turning Point today. One of the most important things to remember about terminating a pregnancy is that you have someone to confide in – and someone to talk with, openly and honestly – with Turning Point. And it doesn’t matter whether you’re contemplating an abortion, or you’ve already had one; our compassionate and caring counselors are always here to offer a helping hand when you need it most. Many women in San Diego County have experienced similar emotions and experiences as you have. But no two situations are exactly the same, and that’s why it helps to have a resource like Turning Point. We won’t judge, regardless of where your crisis pregnancy has taken you. We’re here to help – and we’d like to hear your story. Making the right decision for you requires patience, persistence – and a passionate audience that will look out for your best interests. Plus, Turning Point also provides a wealth of knowledge and real-life experience that pertains to your crisis pregnancy. 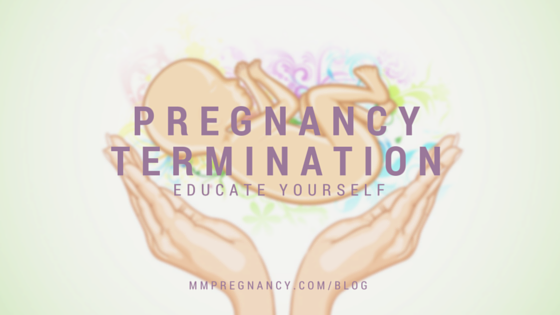 Terminating a pregnancy is a life-altering event. Make sure you have all the facts beforehand. And even if you’ve already terminated a pregnancy, we’ll offer an ideal environment to help you recover and get back on your feet. Don’t make an uninformed decision. Call Turning Point today at 858-397-1970. There are plenty of options beyond pregnancy termination, and we’d love to explore all the possibilities with you. Thanks for reading the Turning Point blog – we look forward to helping you today!